Project Management – Why technical skill alone is not enough. Today’s changing business environment is becoming more and more complex. The global competitive economy is less predictable than ever. 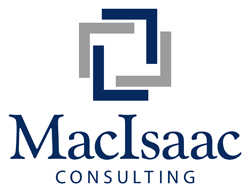 Organizations need project managers who have skills that support long-term strategy. For this reason, technical skills alone are not enough for project managers. PMI’s 2016 pulse of the profession report underscored this fact. Companies should recognize the importance of business and leadership skills, and provide training. Many companies split roles to be either a “Business PM” or a “Technical PM”. In my opinion this is a mistake. Instead of having two separate types of project managers, why not have just one that’s good in technology, business and leadership? 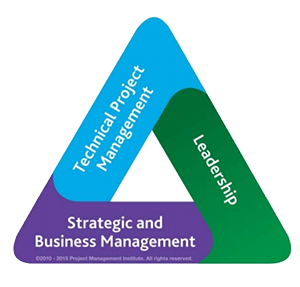 For new project managers, I suggest studying the three areas of the PMI talent triangle. Many good schools now offer flexible MBA programs with concentrations on leadership and strategy. I had the good fortune of going through the MBA program at Bethel University in St Paul Minnesota. The program had a heavy concentration on leadership. As someone with a background in technology, the MBA helped me to become a better-rounded project manager. For “technical” project managers like me, gaining business and leadership skills is crucial. As the global economy continues to drive up complexity, the PMI talent triangle skills will be more in demand.